Our mission is to continually improve by developing high quality products and providing exceptional services that put the customers first and encourages associates to work together creating objectives that are done right the first time - with a positive "can do" attitude using creativity and knowledge to create a unique and fun atmosphere while building strong relationships - meeting or exceeding customer expectations. Our flexible and accommodating approach is supported through vertical integration of our products, offered in both local as well as national forums, measured against the highest standards, providing our 100% guaranteed satisfaction. Heritage Photography, Inc, the leader in quality photographic products and services, is pleased to introduce their full-time team... Rebecca M. Smith and Derrick Clark. With a combined 35 years of experience, ranging from photography to graphics to management and sales, this team, coupled with an outstanding support team, is the most experienced, well rounded all-in-one local photography and framing resource. We invite you to contact any of the team members or stop into our studio. We will be happy to greet you and answer any questions that you may have. Rebecca M. Smith, President of Heritage Photography, Inc. took over the photography business, previously a part of Heritage Creations, in April 2006. With a concerted effort and a planned approach to offer a unique environment while vertically integrating all products and services, enabling the Company to control a high level of service and delivery to our customers, Heritage Photography utilizes on-site and local printing sources and houses an on-site custom matting and framing operation. 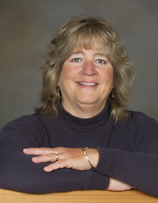 Prior to taking over Heritage Photography, Becky held the position of Vice President of Human Resources and Environmental Health and Safety for Heritage Creations, Inc., in Glens Falls, New York, formed by Phillip H. Morse, in 1999 and prior to that with NAMIC USA, also founded by Mr. Morse in 1969. After 27-years in the medical device industry, where Becky held the position of Vice President/Senior Manager with NAMIC and later Pfizer. Becky and several other senior management members left, when Pfizer sold the division to Boston Scientific, to work with Mr. Morse again, in his new company, Heritage Crseations, Inc. Becky started Heritage Photography, Inc., when Heritage Creations was sold in 2006. Becky’s years of experience strengthened her knowledge in business, marketing and sales, and as President of Heritage Photography, her goal, supported by her love for working with people, and her knowledge and experience in business, is to provide similar opportunities afforded to her by Mr. Morse, to associates of Heritage Photography. Becky hopes to work with the Heritage Photography team to grow and develop a company that is fun to work with and one that provides exceptional products and services to Heritage Photography’s customers. 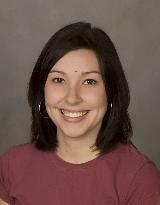 Becky holds an Associate Degree in Applied Science and a Bachelor of Science Degree in Business, from Skidmore College. 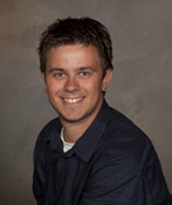 Derrick joined the team at Heritage Photography in the Spring of 2010 and became a partner in the business in 2013. Derrick is responsible for all aspects of marketing and manages all creative projects as well as the studio. Derrick holds a Bachelors Degree in Professional Photographic Illustration from the Rochester Institute of Technology. Prior to joining the team, Derrick worked as a freelance Commercial Photographer and Graphic Designer. Derrick enjoys Collecting Art, Hiking and all aspects of technology. Kaelyn, joined the Heritage Photography team in the fall of 2007 and brings a natural ability in capturing Studio Portraits. Heading up our photography and Graphics department, Kaelyn is a valuable resource in our branding and identity and a welcome addition to our strategic planning team. Kaelyn holds an Associates Degree in Applied Science, a Bachelor's Degree in Fine Art with a concentration in Photography and Graphic Design as well as a Masters Degree in Education all from The Sage College in Albany. Jenna, joined Heritage Photography as a part-time photographer in the Spring of 2006. Along with course work in photography, Jenna’s passion and experience in photography has been a great asset in capturing images of families, seniors, weddings, and event photography. Jenna’s personality and ability to work with clients has resulted in positive feedback and repeat business. 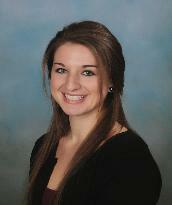 In addition to helping out with photography, Jenna has been instrumental in program development. As an undergraduate at Syracuse University,Jenna currently works as a Surgical Tech at Glens Falls Hospital and looks forward to Med School in the future. Ariel began his affiliation with the organization in 2007. Ariel brings to the organization a wealth of knowledge and experience. Ariel utilizes his programming expertise in support of our rapidly growing virtual media with a concentration in virtual tours, web development and social syndication with Virtual Media 360... a sister company of Heritage Photography. In addition to being an owner of the business, Brian oversees our Custom Framing Operations. Bringing more than thirty years of fine woodworking experience, Brian provides the overall management and development of our framing operations. Brian’s creativity and eye for detail were instrumental in the transformation of our Carriage House being turned into a very unique work space. RuthAnn is a retired elementary teacher from the South Glens Falls School District. RuthAnn’s interest in photography and desire to help out at the studio resulted in her taking an interest in our custom framing department. To expand her knowledge in this area RuthAnn attended courses through the Professional Picture Framers Association (PPFA) where she received several certificates for custom matting and framing. That coupled with now three years of experience at Heritage Photography, RuthAnn thoroughly enjoys working with customers to select the appropriate matting and framing to meet their expectations. Sandi is a retired Home and Careers teacher from the Hudson Falls School District. In addition to Sandi’s career she brings with her several years as a consultant and instructor for Creative Memories Scrapbooking. Sandi’s was instrumental in the reconstruction of the Carriage House, assisting with the interior design and the assembly of the window treatments. Sandi’s experience has added great value to our matting and framing department. Sandi broadened her knowledge in this area by attending courses through the Professional Picture Framers Association (PPFA) in Las Vegas, where she received several certificates for custom matting and framing. That coupled with now three years of experience at Heritage Photography, Sandi enjoys creating unique concepts for our matting, and to include fabric wrapped mats and various layouts in mat board. To see this content, please download the last version of ADOBE FLASH PLAYER click here to download and install.